The ages of the Henry Sprouse children ranged from Brice, born in 1928, to Nora fifteen years later. In between there were Ann, Larry, Wayne, Zula Mae, and Mavis. And among them, they would add seven more to the next generation. Nora remembers when she was about five years old, Brice had graduated high school and was not home as often. She still wanted to keep tabs on Larry and Wayne, and of course they would slip away from her. On Friday and Saturday nights, those two might have disappeared in the direction of the music at the O’Neal house overlooking JJ’s cabin, then vacant. 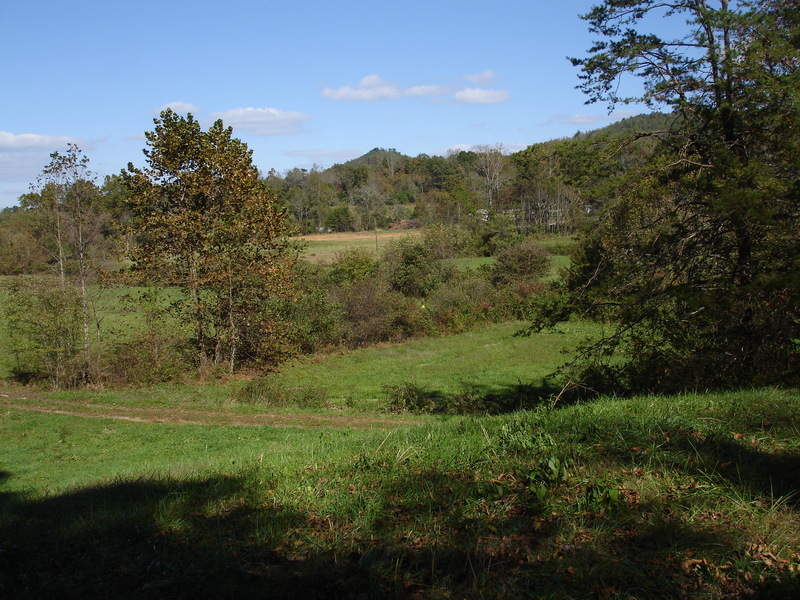 Nora saw the cars going beyond the Sprouse home across the pasture past the barn. The road was rutted and muddy, especially in the winter, so guests would park and leave their cars to walk up the hill. She remembers men and women, loudly talking and laughing. “Of course as a little girl, I would want to look and ask questions and see what was going on. I guess I remember because Mama would make me go in the house and be quiet. And it happened a lot. Her reaction probably put importance upon the memory. Sometimes, Larry and Wayne and some of their buddies would go up on Friday night and lay out in the woods to watch and listen.” They said they were entertained by the frequent fights. couldn’t be seen because of a pine thicket there. One night the boys were gigglin’, and Gus was out on the porch and heard them. He said, ‘Let me get Old Hannar.’ That’s what he called his gun. When he went to get Old Hannah, the boys skedaddled. Our parents must have heard about it because their lives were threatened if they ever did that again.” Brice grinned. Henry was almost fifty when his best friend died. He was very upset. When he was in his eighties and almost cut off his leg with a chain saw, Henry showed less emotion. But this time “he cried. The funeral was at the church up here at Mt. Moriah.” Nora went with her parents, and they sat on the back pew. She thinks they were the only white people there. 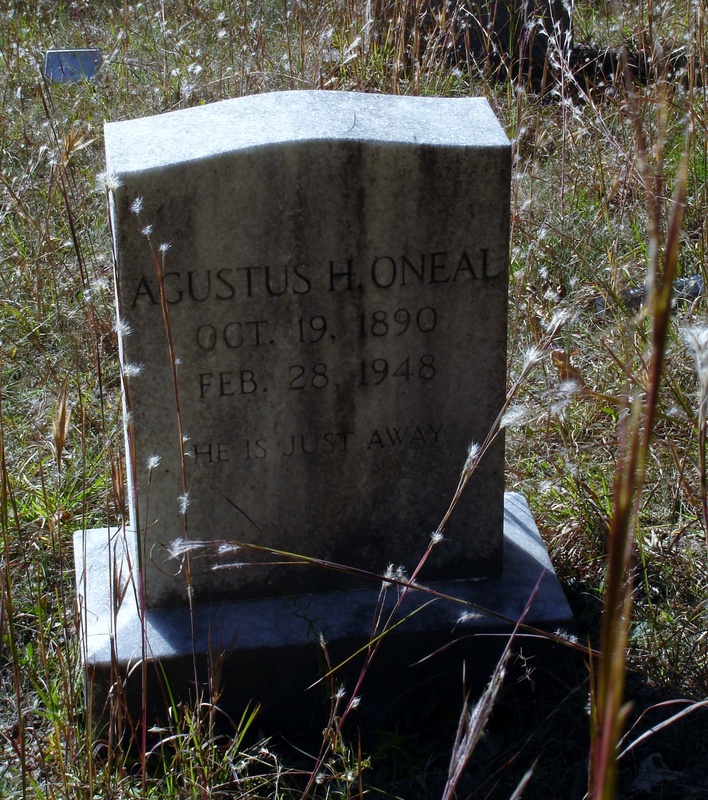 Gus was buried in the Brackett Town Cemetery, at home by his first wife Matilda, who died in 1930. Soon after that, a larger fight broke out in Korea, and reservists who had already served in the “big” war were called back for duty. The military also took hold of Earl Brice Sprouse. Although Brice expressed the opinion, “I don’t think the army never panned out for nobody,” his situation worked out fairly well. “They come around and issue a (tag) that represents what you do. They gave me a MOS as a heavy equipment operator and sent me to Ft. Belvoir. School only lasted 6 hours a day, and the rest of that time, you were on your own, so I decided to make good use of it. I kinda was mechanically inclined, and there was schools all over the base, so I joined a mechanic’s class in the afternoon. It was free, why not take it? When I got back to Ft. Campbell, I never was on a piece of heavy equipment again, not in the army. They assumed because I went to mechanic’s school that’s what I wanted to do so they put me in the motor pool working on equipment. Dozers, cranes, tanks, any kind, and they trained us in all that stuff. I got 6 hours in the morning on the heavy equipment and 6 hours in the afternoon on light equipment, with hand tools. And when I got back from Ft. Belvoir, they sent us to Pine Camp, NY, Watertown, in that area, for cold weather maneuvers. And as soon as we got back, they boxed us up and sent us to Alaska. Talk about cold weather. We had two tours. The first time we went, we went in by trucks, convoyed up there. A long, cold ride. The second time we went in, where we was going there was nothing, just wilderness, and they dropped us in there. We got up some barracks in short time. Dropped our lumber and all our equipment. Course I was in an airborne outfit and they dropped the machinery, and we went to work. In about 24 hours we had shelter. We didn’t have to sleep under the trees. About 22 miles north of Anchorage. Cold country. Iva interrupted to tell him he had thin blood. They had been married since April of 1951, and her job was to keep up with him. This entry was posted in Brackett Town Saga, Characters, Setting and tagged Gus O'Neal. Bookmark the permalink.